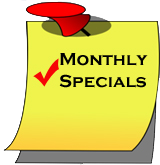 Our sealed beam conversion headlights will put an end to your standard sealed-beam poor lighting performance! With our conversion lights, you can convert or replace your standard sealed beam lights into true lighting performance. 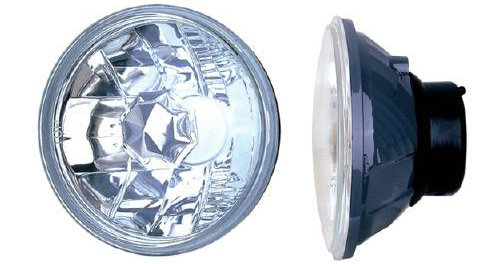 Our state of the art kits are sold as a pair and allow you to replace your low tech sealed beam lamps with a much more modern, diamond clear, glass lensed headlight. 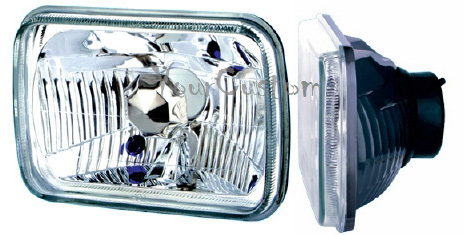 The light spread of our sealed beam “eliminators” is far superior to what you are used to with your standard lights. In fact, you can expect to have a good 100% to 150% better lighting. That’s lighting distance and width! Another benefit of our conversion lighting kits is that you can replace just the bulb in the assembly should you have a light bulb go out in the future. Our headlights use H4 bulbs. You can also upgrade the lighting by using an HID kit to have the ultimate in lighting performance. Hands down, our conversion kits are what you need to have the best lighting available in your car truck or hotrod that still uses sealed beam headlights. 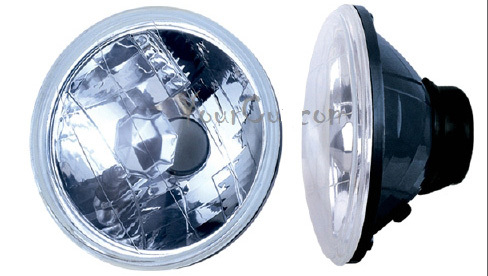 Not only will these lights improve the lighting of your custom car truck or hotrod, but they also look great when they are turned off since they feature a crystal clear glass lens with a bright chrome internal reflector. These headlights install very easily and your original wiring harness will still be used to power these lights. Simply plug and play. So, if you are tired of having to replace your entire sealed beam headlamps every time they burn out, and are sick of not being able to see at night with the brownish yellow, dim lighting of your sealed beams, then you definitely need a set of our conversion headlights! These will make your car or truck look outstanding! You can finally upgrade your vehicle's sealed beam headlights to our conversion head light kits which will give you much better lighting performance and much better looks! Scroll down to find your size and select the correct lights to get the look you want! Click here to return to our custom car lights page for more lighting products like our Conversion HeadLights!